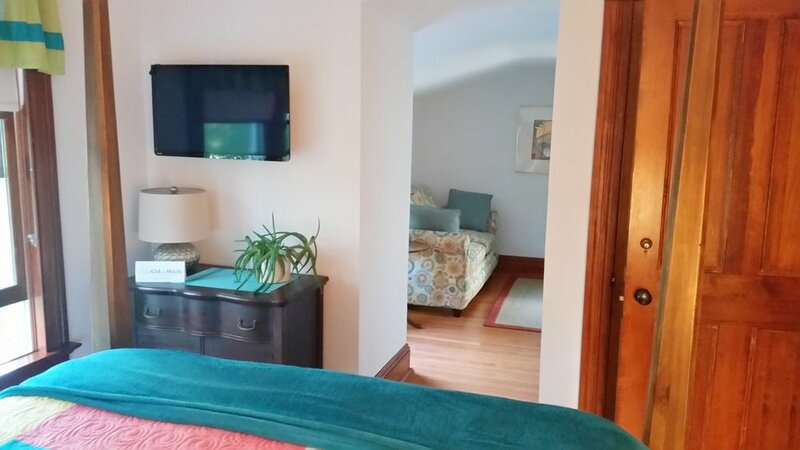 434 on Main is a dog friendly Hamptons bed and breakfast located in the hamlet of Amagansett, only minutes away from Atlantic beach. 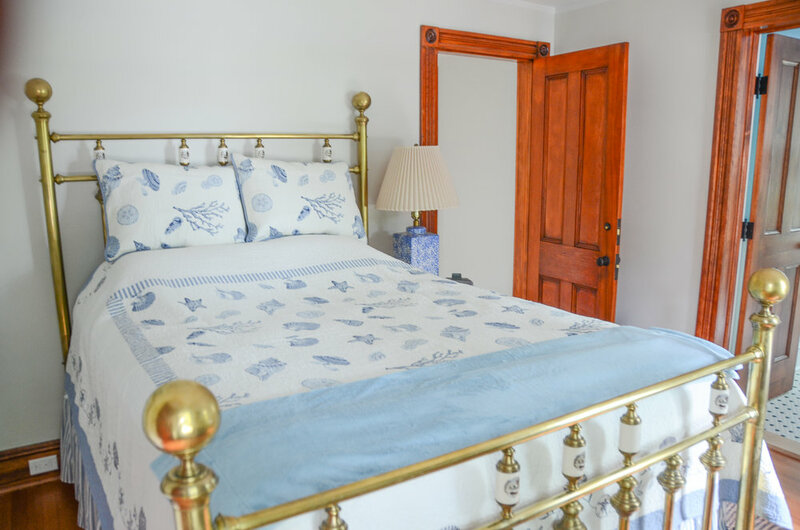 Every room at our Amagansett guest house is designed to showcase the charm of this beautifully renovated and maintained historic 1905 home. Relax in our lovely second floor Beach Suite, perfect for a romantic getaway. 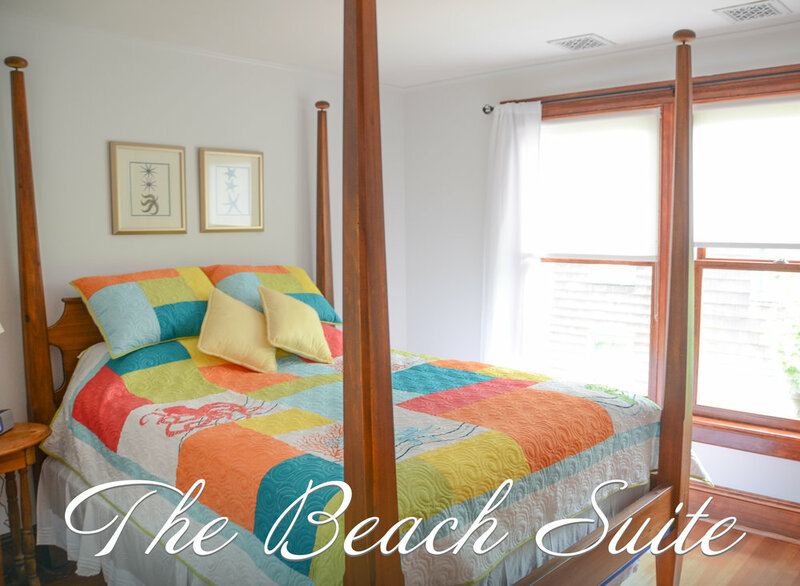 The bedroom is furnished with a plush four poster queen sized bed, decorated with a sunny bright beachy feel. 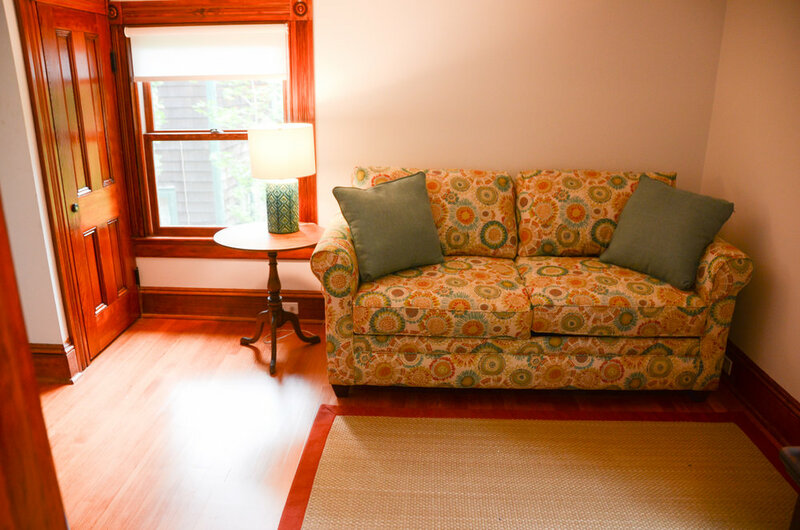 The sitting room holds a full size sofa that converts into a bed, a comfy chair and second TV. 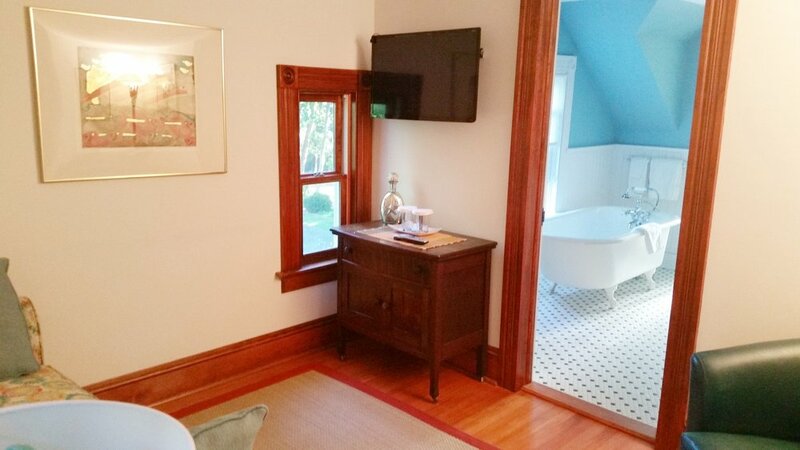 The bathroom contains the original claw-foot tub, perfect for that relaxing bubble bath. The oversized shower has 2 separate shower heads and plenty of room! 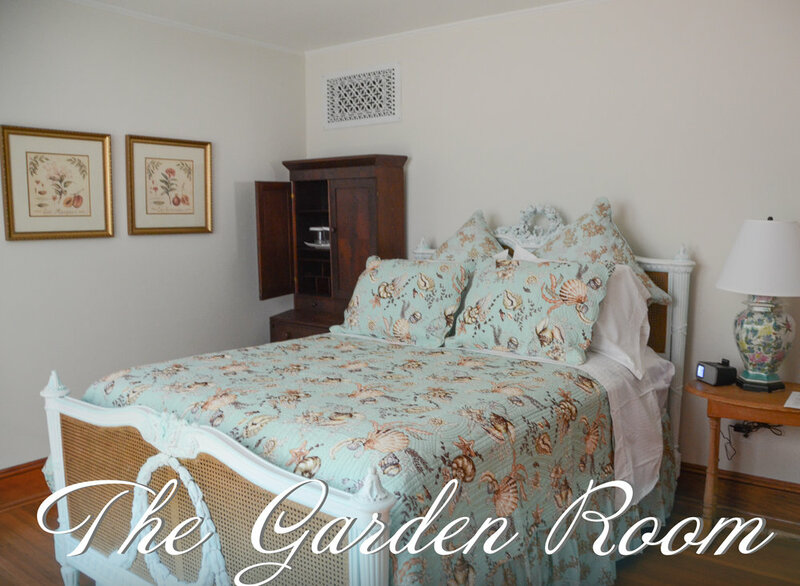 Located on the first floor, the spacious Garden Room immediately surrounds you with luxury. 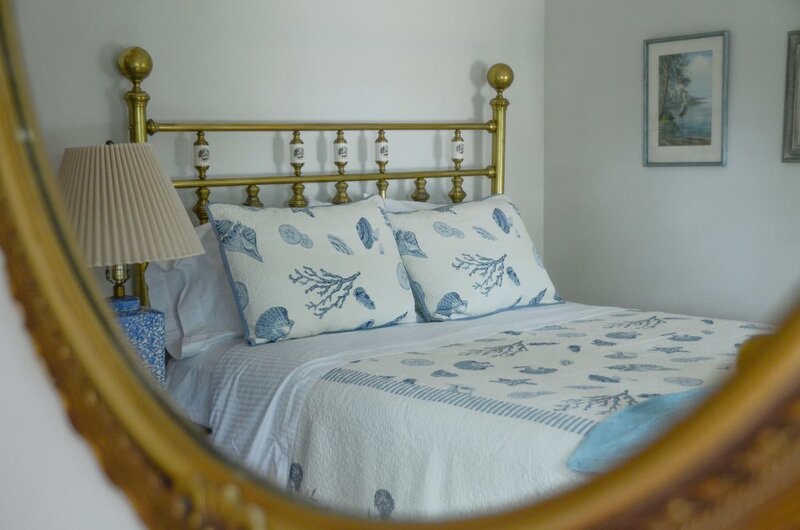 The queen sized antique bed is decorated with sea-life themed bedding in a soothing sea green. 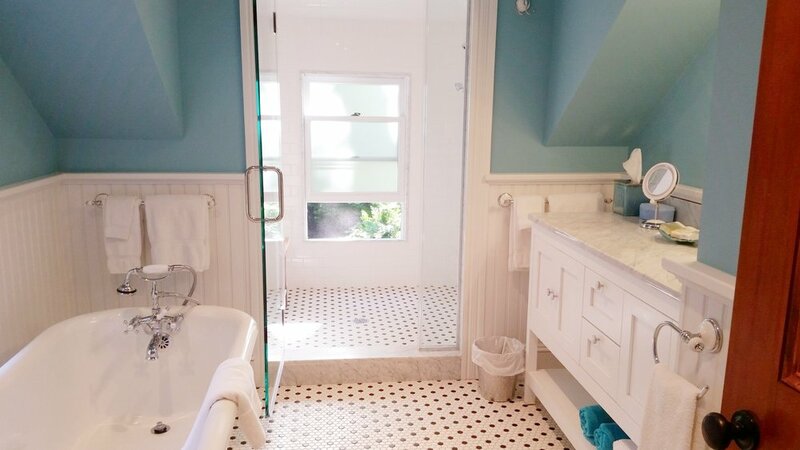 The large attached bath has a large walk in shower. The windows look out on the gardens. 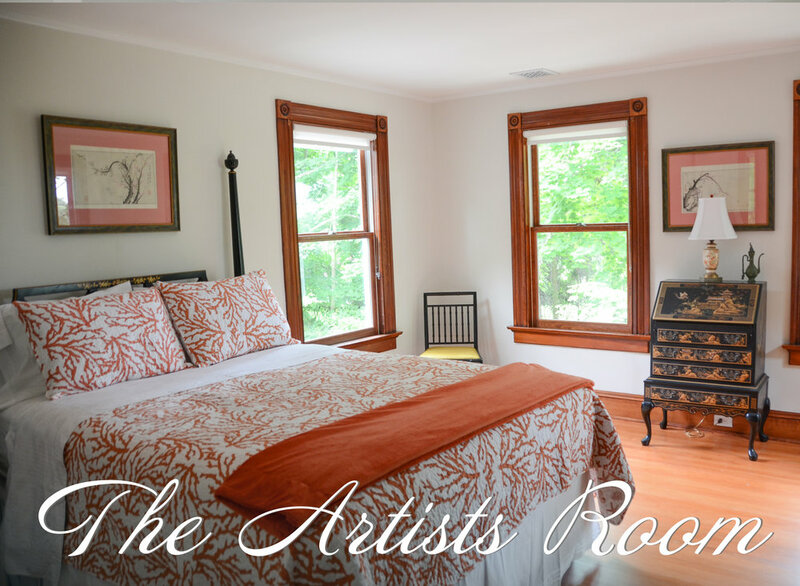 On the second floor, the Artists Room surrounds you with a luxurious zen like peacefulness. 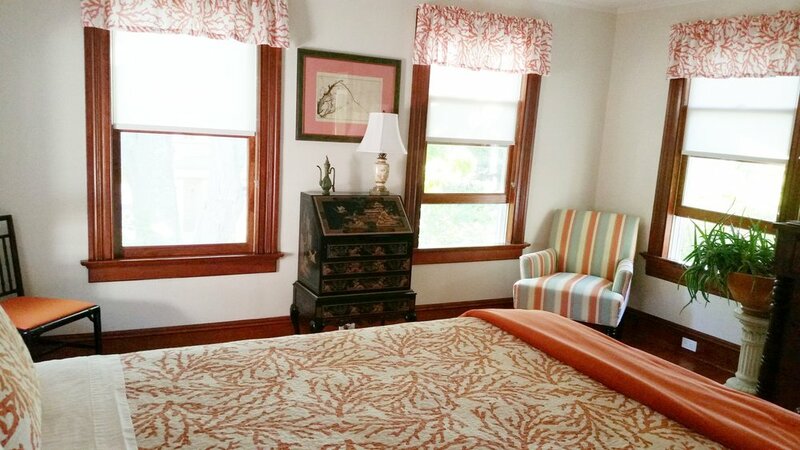 The queen sized bed is dressed with oversized coral bedding. 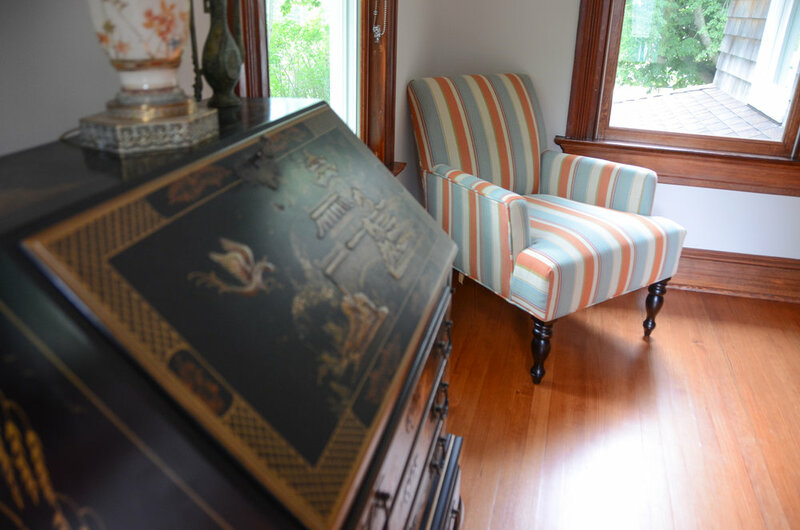 A writing desk and and comfortable chair complete the room. The en suite bath has a large walk in shower, and spacious vanity. Four windows give the room an open and airy feel. 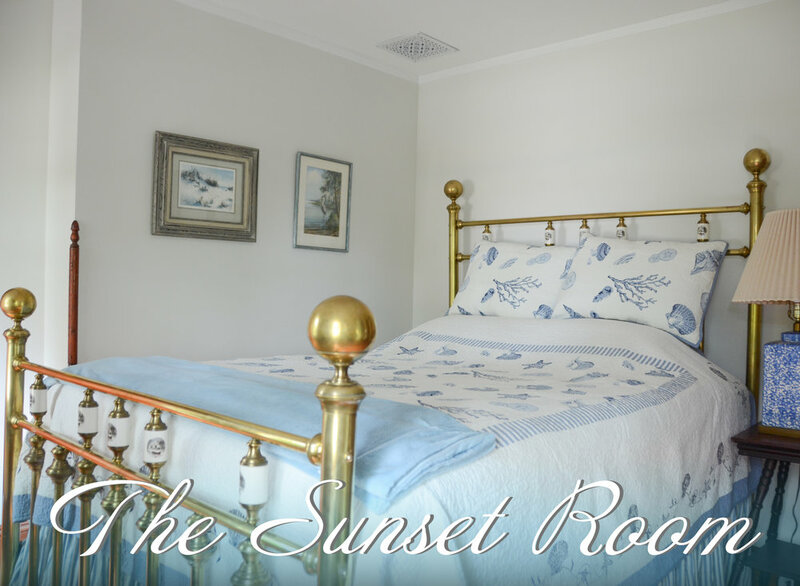 Located on the second floor, the charming and cozy Sunset Room envelopes you with a relaxing seaside feel. 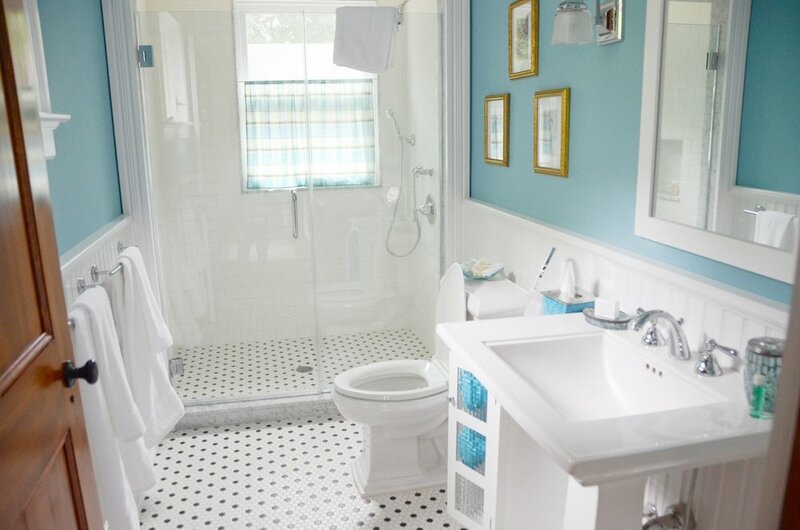 It is decorated in shades of blue and white with a country like decor. The queen sized antique brass bed is original to the house. It has its own attached bath with a large shower.